If you live in Louisiana and you want to renew your driver´s license, feel free to stop by this site. 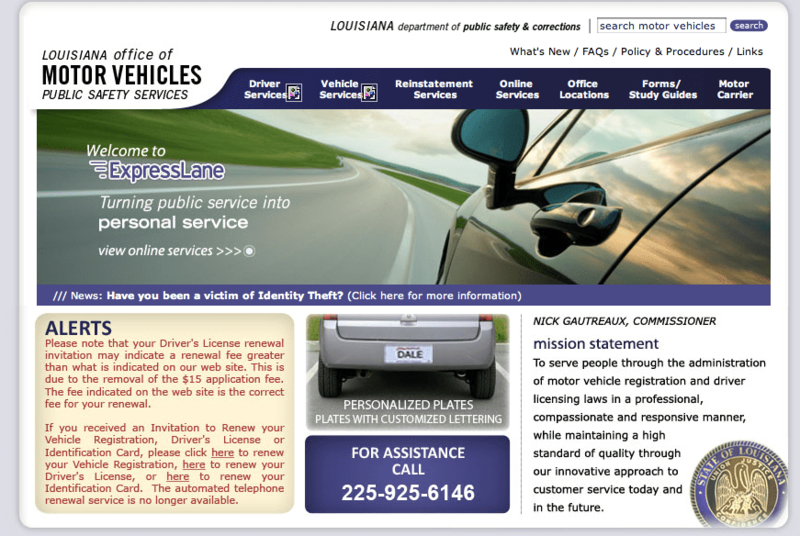 Expresslane.org is the official website of the Lousiana Office of Motor Vehicles. The site provides Louisiana´s drivers with driver and vehicle services, including driver´s license renewal and vehicle registration, among others. Whether you want to register motor vehicles or you are looking for information on driver´s license renewal, enter this site. Pay a visit to Expresslane.org and learn everything about the state´s laws and requirements for motor vehicle registration, in addition to more services for drivers and vehicle owners. Besides, you can search for office locations and study guides. To sum up, if you want to register motor vehicles in Louisiana, Expresslane.org seems to be the right site for you to visit. Take a look at this website to find out more about state´s public safety information and registration services.